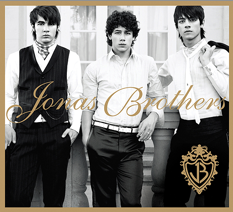 Jonas Brothers is the self-titled second studio album released by the Jonas Brothers. 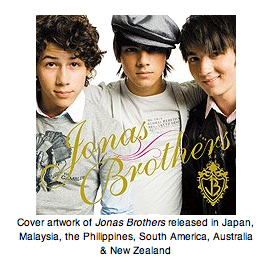 It is their first album to be released under the Hollywood Records label. 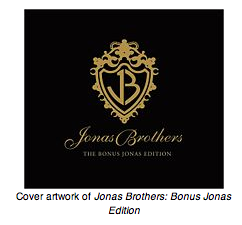 The album was released on August 7, 2007. "Hold On" was the album's first single, followed by "SOS." The CD was the first to be released using CDVU+ technology. The album debuted at #5 on the Billboard 200 with 69,000 copies sold in its first week. In its second week it slipped to #8, selling 41,000 copies. It fell further to #11 in its third week. The album stayed in the Billboard Top 20 the first five weeks of its release. On December 12, 2007 the album rose to #15, before slipping to #20 the next week. On January 1, 2008 the album fell to #22. The album debuted at number sixteen on the Mexican Top 100 Albums Chart before rising to #9 on its third week, being certified Gold for selling over 50,000 copies. So far, the album has peaked at number three on the main chart, and number one on the international chart. In Latin America the album has been certified Platinum in Mexico and Argentina and Gold in Chile, Colombia, Central America and Venezuela.